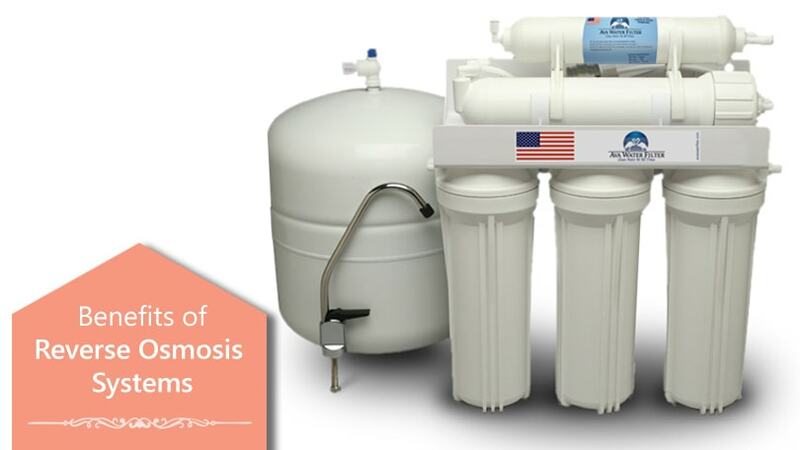 Reverse Osmosis has been the gold standard of water filtration systems for a long period of time. If you ask a few experts, for instance, they would recommend other systems only if you cannot afford RV-based ones. That itself explains how effective these filtration systems can be. Nevertheless, we understand that you may be confused about the whole thing, as you are about to make an important investment. Undoubtedly, there are a number of benefits to Reverse Osmosis, but the question is how it will practically help you in the end. In this article, we will be talking about the top 7 benefits of Reverse Osmosis Systems for water filtration. It does not matter where you are living and which type of water you are getting, you should know about these reasons. If you are someone on the verge of clicking on the Buy Now button, these reasons should be enough to do that. Now that the basics are clear, shall we see the real deal with Reverse Osmosis systems? Let’s now address a problem that a huge number of people across the country are facing — water that tastes bad. Fortunately, Reverse Osmosis systems address the issue in a quite effective manner, providing you cups of water that does not taste of chemicals or other debris. Even when compared to other types of filtration set-ups, the taste is unparalleled. We do not claim that the water from the RO system is the same as the water you get from a well, but it’s always better than the typical taste of feed water. In fact, most RO systems have an extra filter for re-mineralization — which is the re-addition of minerals that may have been lost due to the filtration process before. Because of this extra step, you get water that tastes better. Just as we said earlier, Reverse Osmosis is one of the most effective methods of water filtration. If you want to have a system that removes all contaminants from your feed water, look no further. Although the actual performance depends on the particular RO system that you are buying, there is a minimum guarantee. Now, there are a number of factors that make Reverse Osmosis systems more effective. First of all, the filtration process is quite detailed and well-planned. In the long run, the filter would be able to remove almost every kind of contaminant — including arsenic, which is something most water filtration system has trouble dealing with. While it’s not really the domain, RO devices can also help you get rid of some common parasites from the provided water. In the long run, you don’t have to worry about your health as most of the contaminants are taken care of by the RO water purification system. Despite the prominent advantage of removing all the contaminants, there is something not so great about RO-based water filtration systems. Because the purification is wholesome, some important minerals may be absent in the final water supply. It’s not the perfect scenario, but your human body can manage this in the course of time. So, that’s also a win-win, we believe. Lower energy consumption is indeed one of the major reasons why you should prefer the Reverse Osmosis water filtration system to others. This way, you can be sure that you are not harming the environment even when you have access to perhaps the purest water. The idea is that you don’t have to worry about energy issues when you are drinking that good cup of water. In fact, things are getting better as we move onto advanced RO systems. Many manufacturers are developing purification technologies that consume less power but offer enhanced performance. Viewing from the whole energy-concern point of view, that’s an amazing development indeed. So, the next time you are planning to buy a Reverse Osmosis water filter system, be sure that you’re doing something for the environment. Now, that’s an advantage that you can be proud of. Space consumption is also one of the most important things when it comes to RO water filtration system. In comparison with other filtration systems, RO purifiers require less amount of space. Depending on the type of RO machine you are getting, you will be able to accommodate it underneath the sink or someplace else. The best part here is that you don’t have to compromise features while minimizing the space requirements. When you are in the market, you can choose a Reverse Osmosis water filter that fits in your cupboard or the under-sink space. You may have to compromise the number of filters, but that’s something okay if you ask. Because the installation process is so straightforward, you can easily expand the water filter system when it is necessary. It does not matter if you are adding an extra faucet or extending the supply to another room, the process won’t be that tiring. And, you would not require professional help to do this, which is indeed an awesome reason to get a Reverse Osmosis water system. Reverse Osmosis is not the only type of purification that is happening in an RO-based water filtration system. It is often packed with multiple levels of water purification systems so that the maximum results would be possible. And, even when we go into the RO purification system, there are seven stages that can boost the end-quality of water. While seven is the maximum, you can choose the levels based on your budget. As it goes without saying, the number of levels in the water purification system is proportionate with the quality of the water you get in the end. Because the feed water is going through filters that would remove particular types of contaminants, the results would be amazing indeed. For instance, when one filter removes dust, an extra filter may be there to take care of parasites and other bacteria. You can also purchase Reverse Osmosis water filtration systems that come with a UV filter for enhanced results. Multiple levels of purification systems basically mean that you can have peace of mind. Once gone through the filtration system, your feed water would attain maximum quality and taste. Yet another Reverse Osmosis water benefit to be noted, RO machines are very easy to maintain. We already talked about how simple they are to set up and expand, and the same goes for maintenance as well. When you think about it, there aren’t many things to be considered in the department of maintenance. Changing the filters on time is the major point here. Filter replacement is subject to the type of RO system you have and the capacity of the filter. The best idea is to follow the steps prescribed by the manufacturer so that you can avoid further issues. Just so you know, the time a filter takes to run out depends on the pollution level of your feed water as well. That is, if you’ve relatively better-quality water from the feed, the filters will last longer. If you are looking for one of the benefits of Reverse Osmosis water that makes you happier, here you go. If you have decided to purchase an RO purification system, it means you are going to save a huge amount in the long run. This is because you won’t have to purchase bottled water or other forms of packaged stuff. 1. Is RO Water Good for You? Yes, water from Reverse Osmosis water filters is better for your health. It contains a fewer number of deadly contaminants, including arsenic. This means you can have better and tastier water. 2. When should I replace RO filters? This depends on a number of factors, including the capacity of your filter. Make sure you check the user manual of the product and consider the pollution-standards of your feed water. 3. How Does Reverse Osmosis Work? RO water purifiers work by creating a pressure binary and forcing the water from one side to go through a semi-permeable membrane. This would be taking care of the filtration process. 4. What is RO, UV, UF Water Filter? This is a filter that is powered by Reverse Osmosis, Ultra-Violet filtration, and Ultra Filtration. This enhances the quality of the water as well. 5. 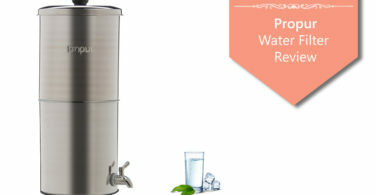 Is RO Water Purifier Good for Home Use? Yes, Reverse Osmosis water filters are great for home use. Despite the better purification systems at work, these machines take up less space and provide better function. 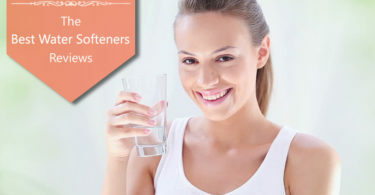 Apparently, these are the biggest benefits of Reverse Osmosis water filtration systems you should know, So, the next time you are about to get one of the best filters, keep these in your mind.